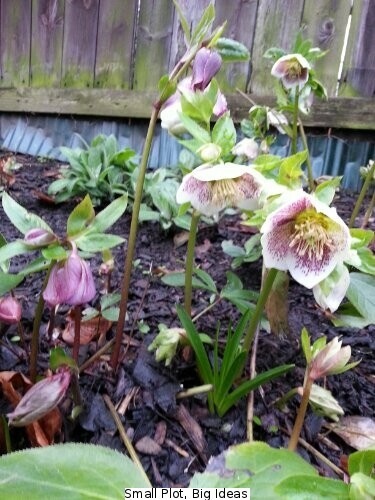 I am particularly proud of that the hellebores have done so well in recent years. I’d like to take all the credit but I suspect that would be a little greedy even if I was the one who originally planted them some years ago. 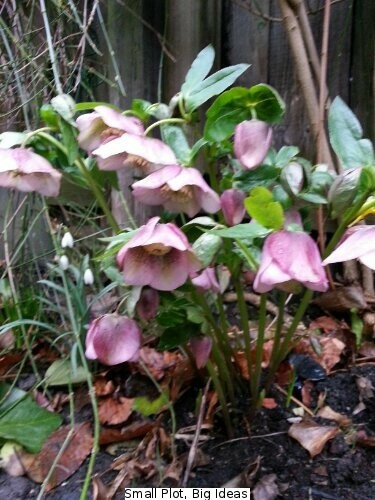 Since that time I have occasionally remembered to mulch them and even sometimes trimmed off the older, dying leaves or weeded around them. However my guess is that my limited contribution is only a small part of their success. We have a few of these in one flower bed and I have spent the last 15 years calling them “Flowering Currants” because I thought they looked like that and never had any berries… until last year that is! Most unexpected but not the first time I have been wrong about a plant and probably not the last! 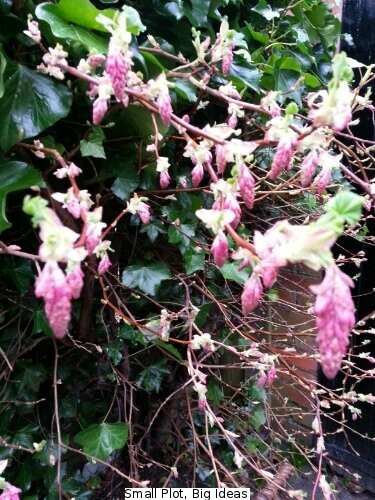 Flowering Currant – or is it? 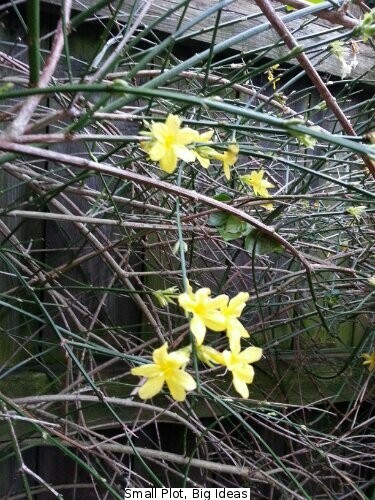 One of the few plants I have added to the garden that I can remember the latin name – Jasminum Nudiflorum – so even though it hasn’t done spectacularly, I am still happy to see the bright yellow flowers each January / February. I think this is some variety of primula perhaps but I’m not always good at remembering the easy names. 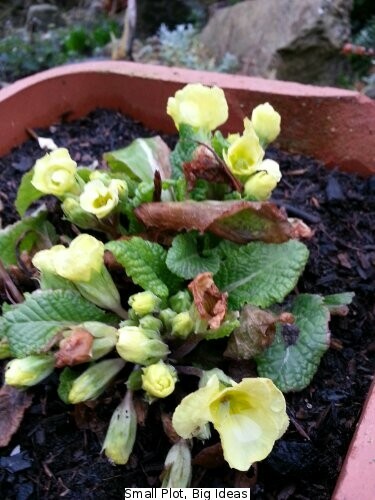 We must have moved this from another part of the garden into this spare chimney pot but I can’t remember where it was before. Perhaps we actually bought a few of these at a garden centre some time ago and the rest have died (or been pecked by the chickens)? 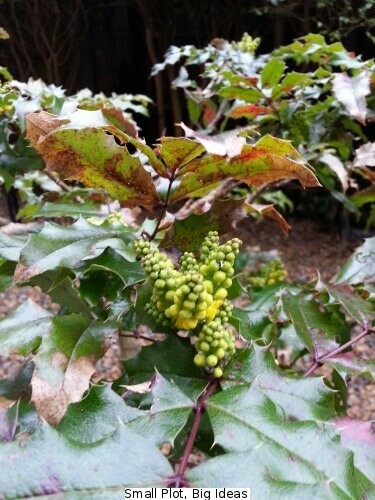 It has been surprisingly productive though and is still trying to put out flowers despite the cold spell and the apparent damage to some of the older leaves. Answers on a postcard, please! Flowering Currant is correct, latin name Ribes, very easy to strike from cuttings and bees love it.